Block, Niko. "Sir William Pearce Howland". The Canadian Encyclopedia, 25 September 2015, Historica Canada. https://www.thecanadianencyclopedia.ca/en/article/sir-william-pearce-howland. Accessed 21 April 2019. Sir William Pearce Howland, businessman, politician, lieutenant-governor of Ontario 1868–73 (born 29 May 1811 in Pawling, New York; died 1 January 1907 in Toronto, ON). Sir William Pearce Howland, businessman, politician, lieutenant-governor of Ontario 1868–73 (born 29 May 1811 in Pawling, New York; died 1 January 1907 in Toronto, ON). Sir William Pearce Howland was closely aligned with George Brown’s Reform movement throughout the early years of his political career. By the time of Confederation, he had drifted closer to John A. Macdonald’s Conservatives, and on 1 July 1867 became Canada’s first minister of Internal Revenue. Though he retired from politics the following year, he remained active in public life almost until his death in 1907. He was the only American-born Father of Confederation. William Pearce Howland was born to a Quaker family in Pawling, New York, on 29 May 1811. He grew up in central New York but later moved with his father to Carleton Island, NY, which sits on the St. Lawrence River near Kingston, Ontario. He moved to Upper Canada at the age of 19 and settled in Cooksville — now part of Mississauga — and found work as a clerk in a lumber yard and general store. Howland eventually took over the shop with his brother Peleg. In the 1840s, he began to establish himself as an influential businessman by acquiring a flourmill and several other properties in Cooper’s Mill, a hamlet west of Toronto. Signalling his support for the Reform movement, Howland renamed the settlement Lambton after the former Governor General John George Lambton (Lord Durham), whose 1839 report on the Rebellions of 1837 recommended that responsible government be implemented (see Durham Report). Howland expanded the mill by constructing a new five-storey building, and opened a general store at the site, both of which made him a considerable fortune. William Pearce Howland became a naturalized British citizen in 1841 and soon became active in politics by openly sponsoring Reformers and forging a close alliance with George Brown. After being encouraged to run for office for several years, Howland finally did so in 1857, winning a seat in the Legislative Assembly for York West. Two years later, he became active in the Reform Party’s finance committee, where he worked alongside Oliver Mowat and William McDougall. In 1861, the Reformers took control of the Assembly, and Howland joined the new government led by John Sandfield Macdonald — first as finance minister, and later as receiver general. That government collapsed in 1864 and was succeeded by the Great Coalition in June of that year. The government was led by Brown and John A. Macdonald, who sought union among the British North American colonies. Though Howland was not initially part of the ministry, he was nominated postmaster general months after the coalition formed. An enthusiastic supporter of free trade, he traveled to Washington in 1865 and 1866 to push for the renewal of the 1854 Reciprocity Treaty. However, due to American disinterest, the negotiations were fruitless (see Reciprocity). Though William Pearce Howland did not attend the Charlottetown and Québec Conferences, he did participate in the London Conference — which began in December 1866 — where the final negotiations of the British North America Act occurred. Throughout this time period, he increasingly closed ranks with John A. Macdonald’s Conservatives, thus distancing himself from George Brown’s Reformers. 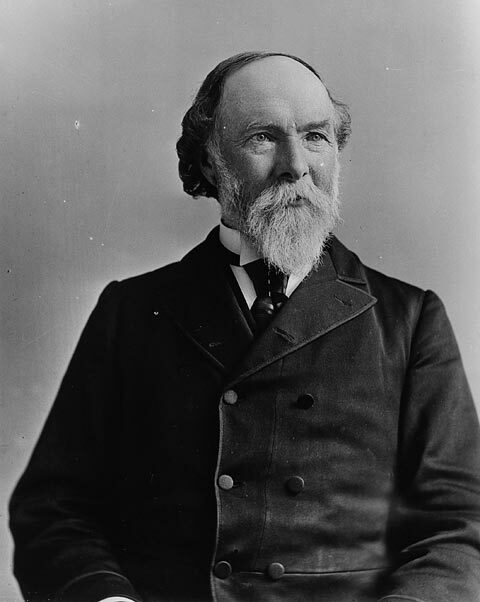 With the implementation of Confederation on 1 July 1867, Howland had effectively crossed the floor and was named minister of Internal Revenue in Canada’s first federal government. In July 1868, William Pearce Howland retired from office to accept an appointment as lieutenant-governor of Ontario — a position he held for five years. In many ways, this honorary position was better suited to Howland, who although universally respected was nonetheless rather soft-spoken for the constant acrimony of federal politics. (Historian Donald Creighton has described him as “a cautious, prudent man [who was] reserved to excess.”) Throughout these years, Howland supported a number of charitable organizations, including the Ontario Institution for the Education and Instruction of the Deaf and Dumb, and the Ontario Institution for the Education and Instruction of the Blind. He also helped raise a volunteer militia in 1870 to combat the Red River Resistance. After leaving the lieutenant-governor’s office in 1873, Howland returned to the business community. He eventually held the presidencies of the Confederation Life Association, the Ontario Bank, the Toronto Board of Trade, and the Canadian Loan and Agency Company. He died in his home in Toronto on 1 January 1907, at the age of 95. SIR WILLIAM PEARCE HOWLANDDictionary of Canadian Biography.